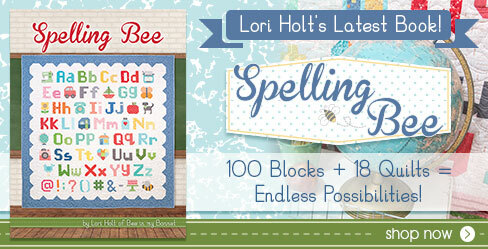 There is one more challenge week for Project QUILTING and it starts tomorrow, February 17th at Noon CDT! Which also means we have one more ultimate weekly sponsor. 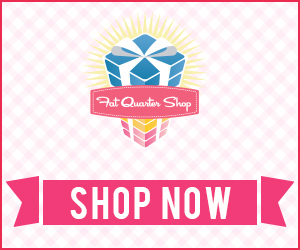 This week I’m excited to share that the Fat Quarter Shop is our Ultimate Weekly sponsor! If you are just finding out about Project QUILTING now please remember that it’s not too late to give it a try! You can still join in on this challenge and/or the last! There are no rules against that. Over 100 quilts have been created for each challenge so far and 603 quilts have been made in the first 5 challenges! I’m absolutely blown away by this number. Each week that you participate in the challenge you have an opportunity to be randomly drawn to win a great prize. This week the Fat Quarter Shop, Project QUILTING’s ultimate weekly sponsor is giving one lucky winner a $50 gift card to shop in their online store! I know I would have some fun with that. The Fat Quarter Shop always has a bunch of fun things happening – let’s check out a few of those things. First – the Fat Quarter Shop is having a challenge and contest for Worldwide Quilting Day! There is a free pattern on their blog and you can find out all the details HERE! I know if you’re reading this you already love a challenge so this definitely is a great opportunity for some creative fun! It’s also always a great idea to have some fun handwork with you when you on the go. When’s the last time you gave cross stitching a try? The Fat Quarter Shop has a great selection of supplies and products to get you set and ready to give it a go! I’ll admit that I’m quite smitten with the Retro Typewriter Cross Stitch Kit shown above. I HEART FAT QUARTER SHOP!